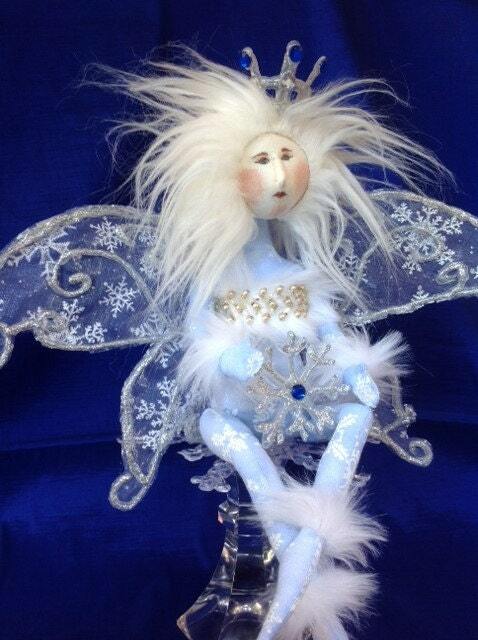 Make your very own Beautiful Holiday Fairy. 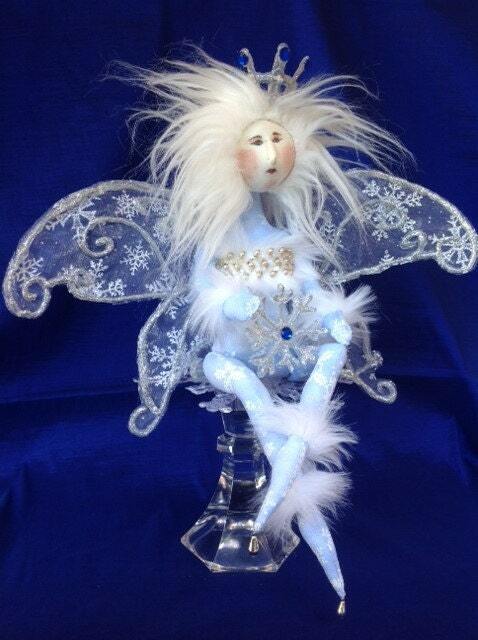 A 12" seated Winter Wonderland Fairy Cloth Doll E-pattern. 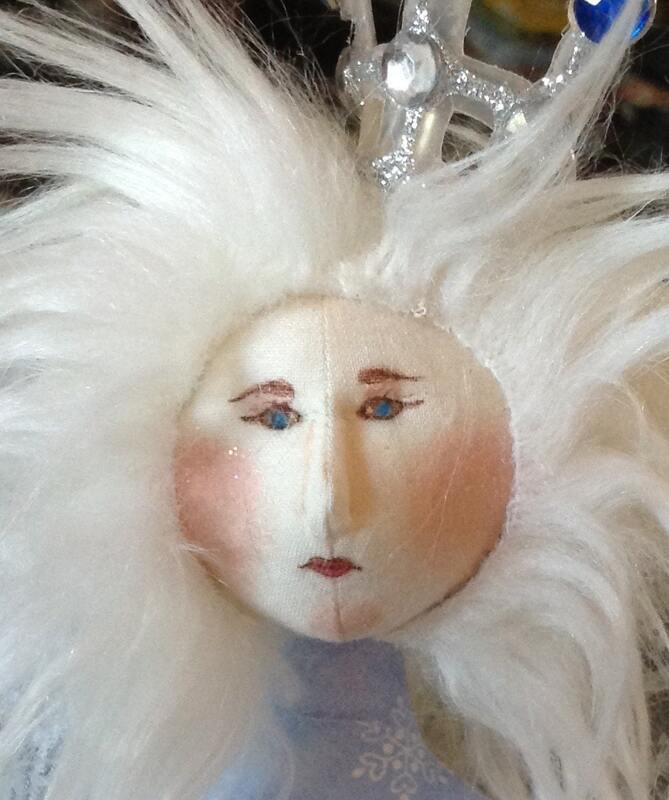 Although not for beginning doll makers, don't let this doll's beauty intimidate you. The Instant PDF download comes complete with easy to follow step by step instructions, all doll body and clothing pattern drawings and even a convenient suggested materials list. 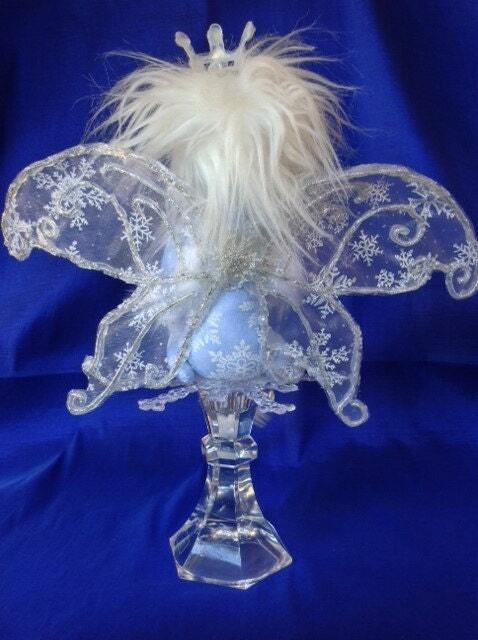 Detailed Instructions for making the Wings, Snowflakes and Crown are also included. There are even detailed instructions on how to apply the hair. 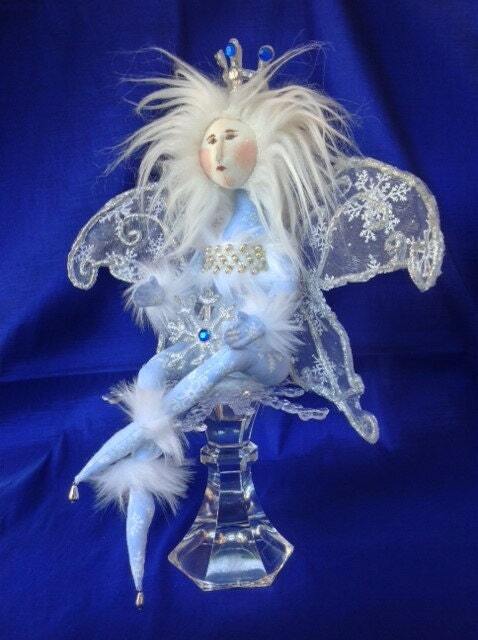 Follow my instructions and you too will create a beautiful, handmade doll. Finished dolls made by you personally may be sold on the internet and at local craft shows. Please give credit for a Fruitfull Hands Design. Stunning pattern! Always a pleasure.